I didn’t blog when the little travellers were babies. I didn’t write at all, apart from emails to friends and family filling them in on the details that only grandparents and old friends can appreciate. I’m sure if anyone would have suggested the possibility of writing for a living I would have told them they were nuts. I went back to the office (notice I didn’t say work) when the fourth little traveller was about five months old. Any writing that was done was either interview notes, a quick email, or some sort of sales proposal or tender. That was my job; Recruitment, Account management, and Manager. I loved my job. Really loved it. I’m glad I didn’t blog then. I was meant to go back to the office. I was meant to join the team of people I did, a group of Gen Y’s couldn’t have been further than the X’s I’d been hanging with. I rediscovered the joy of watching someone go through the process of applying, and then becoming successful in getting the job they either needed or dreamed of. It’s incredibly rewarding to watch the process play out. I’m one of those people who enjoy sales calls and client meetings as much as I love interviewing. It never felt like work. It really is the perfect job for me. Which is why my discovery this morning surprised me. I was searching through the children’s bookshelf for the ever elusive lost library book, when I found this. I bought this in 2007, just a few months after I’d returned to the office. 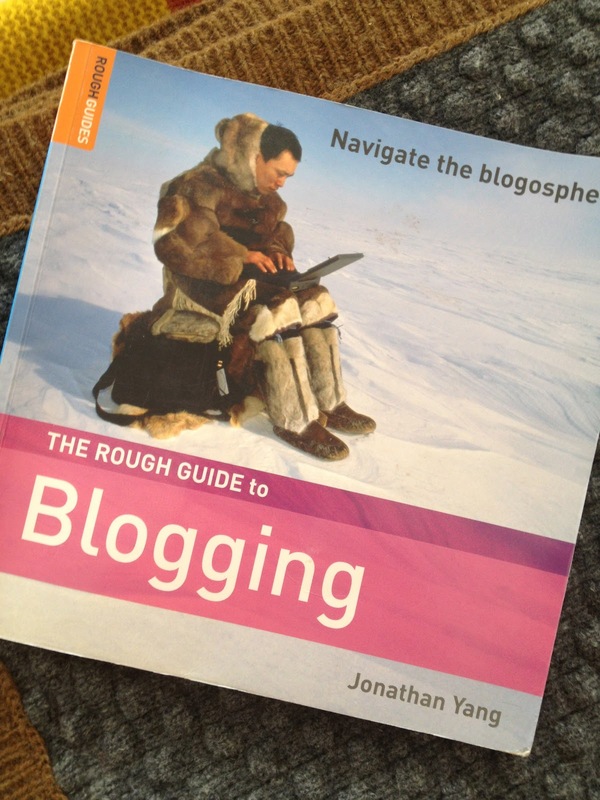 I hadn’t read a blog, I didn’t know of any blogs, and as far as I’m aware I didn’t have any intention of blogging. But here it is, evidence that the idea was there, swimming around in the back of my mind. I still haven’t read it. When we moved to Houston, I remember there being several occasions in conversation where my friend Leah would mention something interesting and I’d ask where she’d heard it or read it. “It was on a blog that I follow” she’d say. I was listening to the fourth little traveller tell the third about an exercise he’d done at school the other day. “We wrote all of our nasty thoughts on a page and then threw them away” he was so earnest in his description. I considered the concept of group therapy for Grade One. Did I mention my children attend an American School? “What sort of stuff did you write?” the third traveller looked concerned. “I wrote ‘you’re so mean’ and ‘you might be an idiot'” I tried not to giggle at the “might be”. He obviously wasn’t entirely confident. “That sounds toxic, what did you write it on?” the third wasn’t impressed at all. The third little traveller looked at the fourth for a moment, and then said “your mind will never be silent Henry, you will always have thoughts, none of us are ever really silent”. The fourth traveller was now completely confused. “You ruined it, I was so silent, for a minute I was silent”. There are a million thoughts rolling through my mind at the moment. I need to finish working on something for G. I have oodles going on behind the scenes with the blog. I have freelance writing with deadlines. The first little traveller is not speaking to me today because I made her practice her trombone last night instead of letting her watch Glee. I need to fill out the school re-enrolment forms and the third and fourth traveller need vaccinations. I have to take a cheque to the other side of town, I’m meeting someone for coffee in 15 minutes and I haven’t left the house, and I have to make my hair big before heading to the gala dinner tonight. Oh, and I still don’t have any shoes. Somewhere behind those thoughts are the bigger thoughts though. The what next, the maybe. The seeds of thought. Maybe they’re dreams just as much as thoughts? I was walking around happily in full-time employment but there was a seed, a vague inkling that maybe I might be able to write something down in a blog one day. These are the thoughts that we need to gently plant in our minds while we wait for germination. Don’t panic, it’ll grow, give it time. Do you have one? I bet you do. None of us are silent.